Demi Lovato may not be returning to La La Land when she leaves rehab. In the days, weeks and months since she entered treatment for her illness, the star has undergone a life-altering transformation to become a "new version of herself." "Demi is doing great and is really receptive to the help that she is getting," a source tells E! News. "Treatment has really changed her and she is looking forward to remaining sober and her new outlook on life." This "new perception of life," however, might mean saying goodbye to her life in Los Angeles, Calif., where she suffered an overdose on July 24. The insider said, "Demi is unsure if she will come back to L.A. to live permanently." "She really wants to start a new chapter in her life," the source explained. And while the singer hopes to return to her passion for music, those around her are "urging her to live a more relaxed lifestyle before she dives back into working," said the source. "Her family wants her to take time away from L.A. and possibly stay in Texas with her family for a while," shared the insider. That being said, there are no solid plans for her future. According to the source, the only thing that is know for certain is that she will remain in treatment "for the next few months." 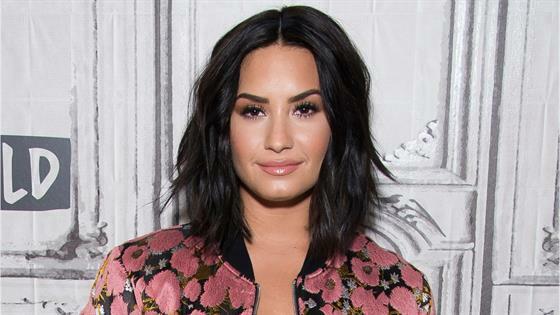 When the time comes to re-enter the outside world, it is likely Demi will heed the concerns of her loved ones considering she was "grateful to be alive" following the incident, as a source previously told E! News. At the time of her release from the hospital, the same source said, "She is starting to grasp the severity of what happened and that she almost died."